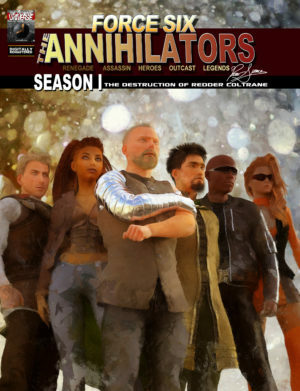 The Force Six, Annihilators are a team of specialists assembled to bring order to a chaotic universe. Something went wrong when right became their final choice. See the transformation from Renegade outcasts to Legends. 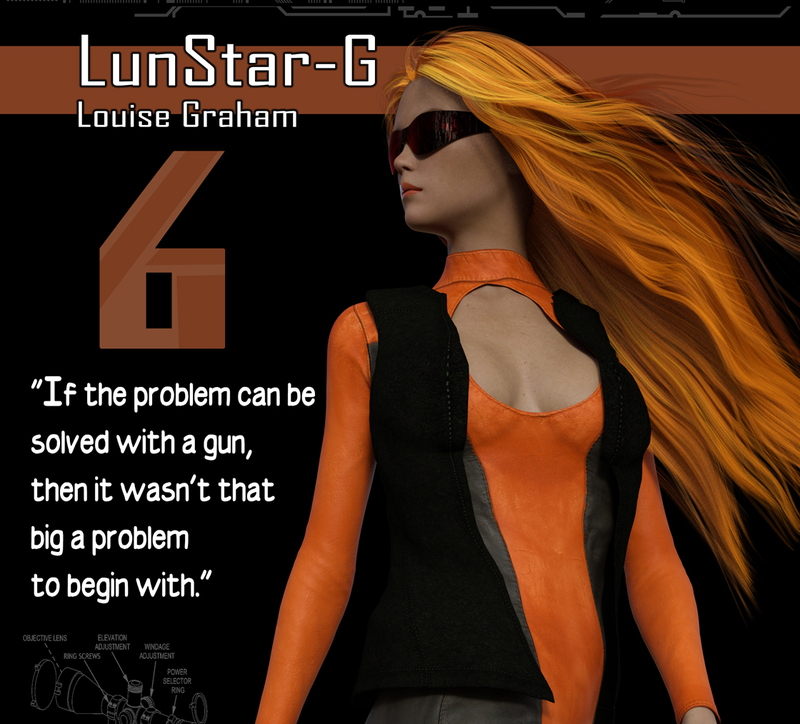 They are Force Six, The Annihilators – a futuristic assassination squad. Heroes will come and evil will die screaming. Who are the Force Six members? The Force Six commander was recruited from the leadership ranks of the SOLAR Sentry. This galactic paramilitary police force acts as the enforcement arm of the federation government. He is an exacting man who pushes the team to achieve excellence. In private, he still mourns the death of LeMura Claire, his life partner who died in a climbing accident. The root cause was failure of his bionic implant and now the guilt-ridden leader sees her in visions and ghostly visitations. The entrusted number two member is the middle child of a powerful clan-family. 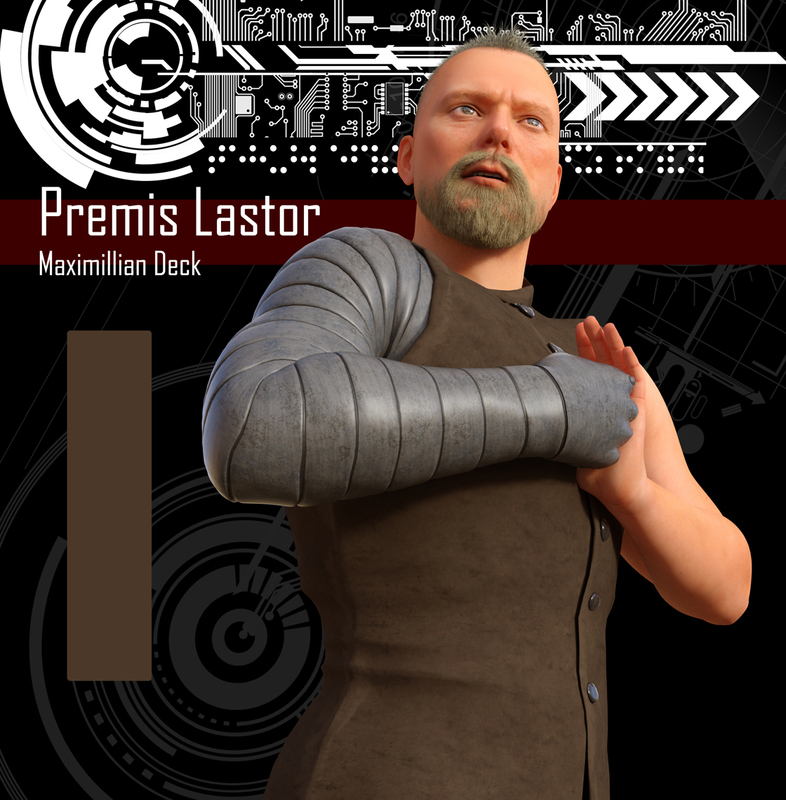 He is a master of many martial art disciplines and prefers LOWtech blades over energy or projectile-based weapons. His home planet of Taigamis has recently ended a period of isolation. 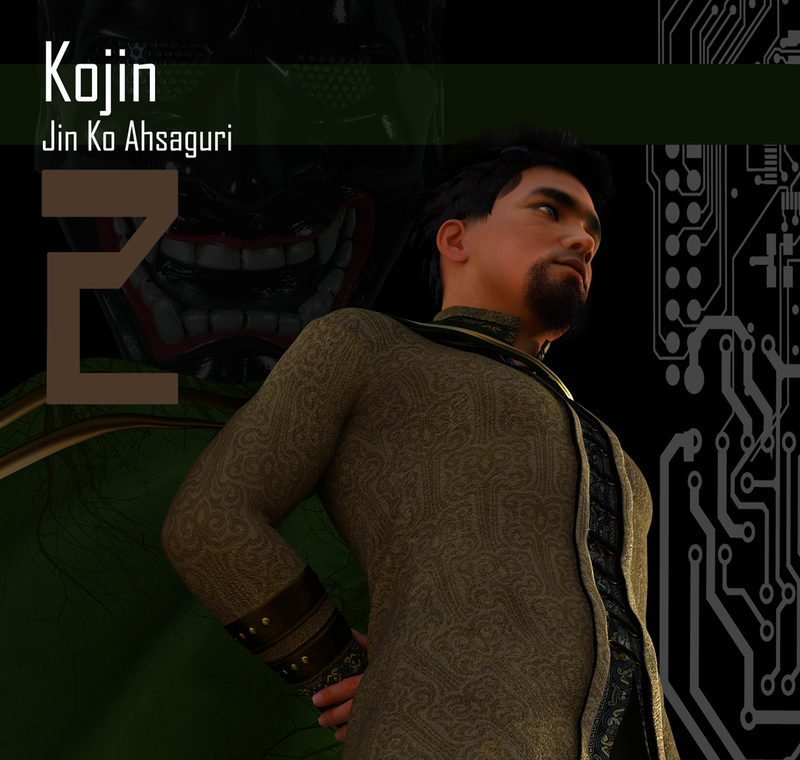 Kojin is quickly adapting to foreign and alien cultures as he co-leads the Force Six. The third in command is a former light beam racer from the planet Asau. After (unjustly) being imprisoned and branded an outlaw, he was offered the position of weapons officer and gunsmith. Speed of hand and speed of thought are his most noted attributes. 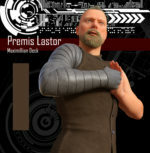 His rash and brash demeanor adds a fiery hand to The Annihilators. The Force Six team sought to add a strategist and tactical agent to their roster. They needed a member that would be able to systematically break down their opposition. 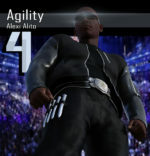 They found a technician and tactician in the former Mixed Mortal Combat champion- known as Mr. Agility for his acrobatic displays and unique fighting style. After crossing the galaxy is pursuit of alien competition, Agility has returned to human-controlled space to add his skill set to the Annihilator cadre. 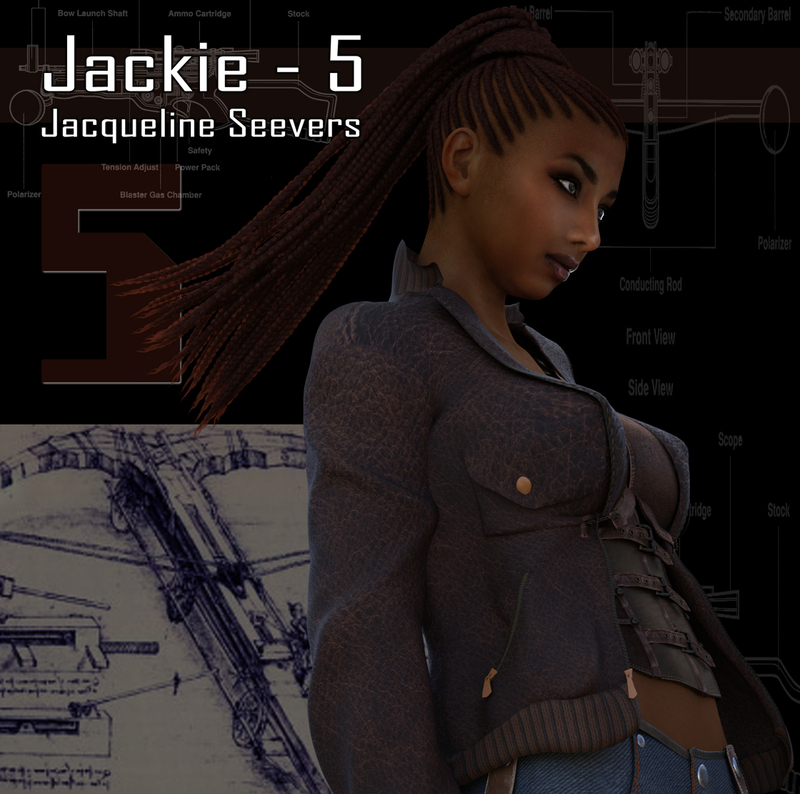 Jackie-5 is the droidist and lead technical advisor for all automaton resources. She repairs and programs the robotic components for the Force Six team. Her home planet of Aeona has close ties with the newly risen machine order. She prefers heavy machinery in combat and has the heaviest muscle enhancement for the handling of large assault weapons. Under the tutelage of her initial assassin mentor, Silas Scott, Louise Graham mastered the sniper arts and far combat tactics. Soon after, she was turned over to a secretive elimination society and finally added to The Annihilator team as their hard-target eraser. She also has a bone-weave endoskeleton giving her enhanced strength and a more durable frame. What is the Force Six? It’s a comic book series with heavy use of CGI art. It’s a narrative that follows the exploits of an artificially enhanced assassination squad and attempts to shed light on their controversial legacy. I call issues- episodes and combine the major story arcs into collections. I started drawing The Annihilators (the original name of the comic) when I was in grade school and every few years I would revisit the series and draw another book or two. By the time I reached my twenties, I had a covered a pretty large section of their lives and started to consider what it would be like to have the team members continue after the super-team broke apart. Now, I’m recreating that story from the beginning and sharing a huge part of my creative passion. A season of the Force Six comic- spans about ten episodes. They are usually named after the major story arc or plot point. The members take action in smaller numbers as the central story pits Jackie-5, Kojin and Fire Destiny against the outlaw Redder Coltrane and his criminal gang. This story takes place early in their careers and the Force Six has not yet grown into the formidable killing machine. 1) The plan goes according to plan as the strategy works flawlessly in drawing out Redder Coltrane. 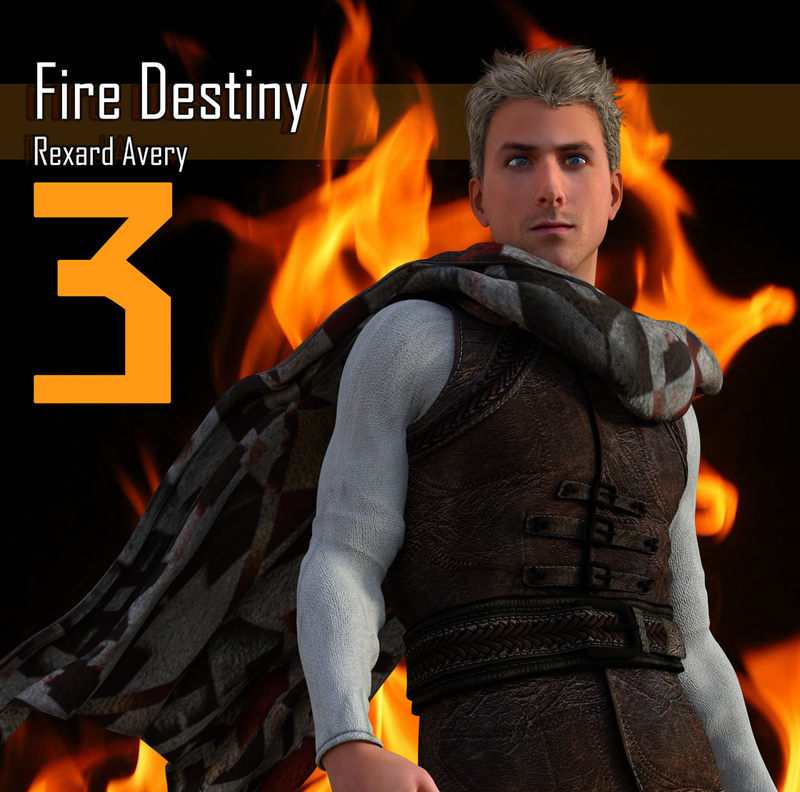 2) Major story events are hinted at and foreshadowed during an early conversation between Fire Destiny and Kojin. As they compare their strengths and weaknesses, each point and counter-point occurs further along in the story arc. 3) The Annihilators have a tendency to cross-reference each other, showing their closeness and family bonding. 4) The episodes were originally released in close to reverse order. The first story shown, where the Annihilators arrive at their aquatic base, was actually the season finale. Readers were purposely kept in the dark about the full Force Six team membership and their enhanced abilities. Who is behind the Force Six? Drew Spence is a graphic comic writer and illustrator from the United States. He creates under the title The Dynamic Universe. He is both interested in music and video and has created several works, including the Mark of the Griffin, both a graphic novel and web series. The instrumental group Fallout Shelter provides the soundtrack for the Force Six comic series. The band members are Domino grey, Dynamics Plus and Xodus Phoenix. He currently lives on Long Island, New York and produces his work from the aptly named Fallout Shelter studios, where he crafts crafty and clever comics using CGI and photorealistic image manipulation. What’s the form, formats for following? The Force Six comic series is available in digital format on comiXology and DriveThruComics. Physical copies are available from Indy Planet and TheDynamicUniverse.com Individual episodes are for sale, along with collections, one-shots and entire seasons are sold as digitally remastered mega-books. A 2018 print calendar is also available. Inquire for courtesy copies. The Dynamic Universe can be engaged on the various networks. 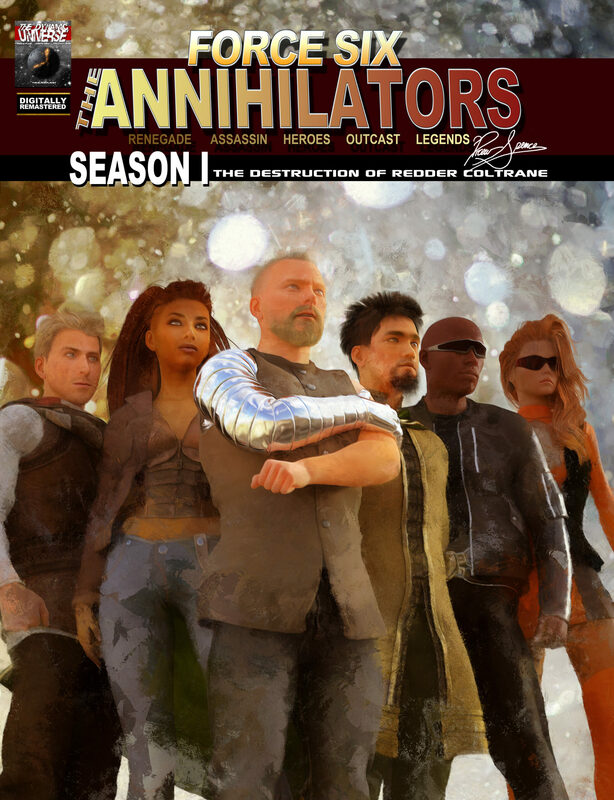 Enter the Annihilator Universe- where humankind has touched the stars and reshaped a thousand worlds. They live in the past and they live in the future. They are the inheritors of our yesterdays and the architects of our tomorrows. There will be justice and there will be vengeance. And in the end, there will be Annihilation. Welcome. All features and reviews should use the links below.